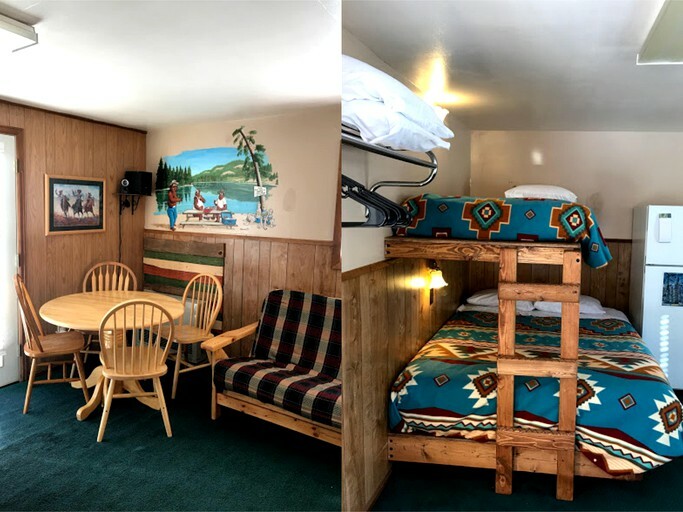 This cabin rental is located near Palisade, Colorado, and can accommodate seven guests for a revitalizing getaway full of outdoor adventure amid the national forest-covered, lake-dotted landscape of Grand Mesa—the largest flat-top mountain in the entire world. 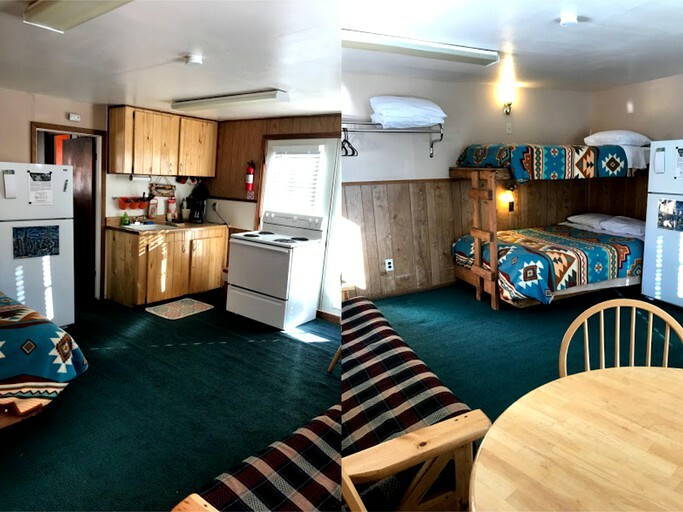 Featuring a cozy interior, comfortable furnishings, and rustic decor, the cabin has one bedroom, one full bathroom, and a studio-style room that combines a sleeping area with a living area, a dining area, and a full kitchen. The bedroom contains a queen-size bed with a bedside table and lamp. In the sleeping and living areas of the studio-style room, guests will find a futon that converts into a full-size bed and a bunk bed set, consisting of a queen-size bed on the bottom and a twin bed on the top. 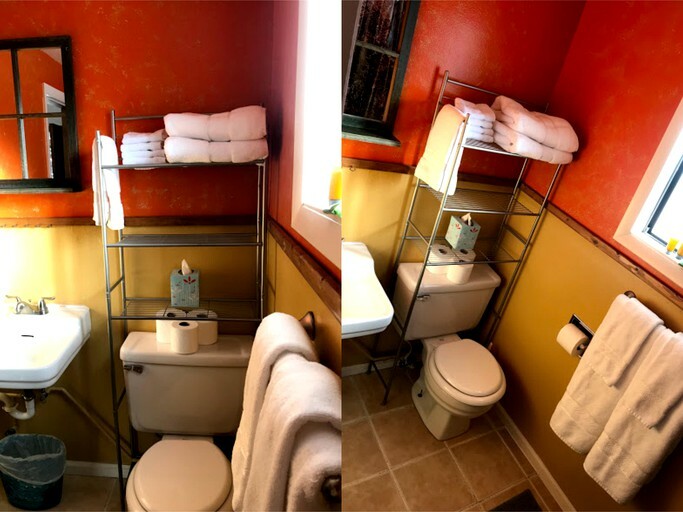 The bathroom contains a toilet, a sink, and a shower. Linens, towels, and soap are provided. The dining area seats four. The fully-equipped kitchen comes with an oven, a stove, a microwave, a refrigerator, a toaster, and a coffeemaker, along with a full complement of plates, bowls, eating utensils, cooking utensils, pots and pans, spices, dish soap, and dish towels. Other amenities include electric/propane heating and a speaker system. Broadband Wi-Fi is available at the site's office. The signal may reach the cabin, and if not, guests are welcome to visit the office to use it. Inside the cabin, guests will enjoy amenities such as electric/propane heating, a full kitchen, and a full bathroom. Outside, during the summer, they will find a picnic table, a fire pit, and a charcoal grill. At the cabin site, guests will also enjoy shared access to a pavilion, a large communal fire pit with log seating, and an area with hammocks. In the pavilion, guests will find a propane barbecue grill that they may use. Broadband Wi-Fi is available at the site's office. The signal may reach the cabin, and if not, guests are welcome to visit the office to connect to it. Three canoes, two stand-up paddleboards, a rowboat, a single inflatable kayak, a double inflatable kayak, a hydro bike, and a two-person peddle boat can be rented from the host at the beach on Deep Ward Lake. Rentals are available on a two-hour, four-hour, and full-day basis. This cabin is located in Grand Mesa, Colorado, where it is situated on top of the largest flat-top mountain in the entire world. Encompassing 800 square miles of forested terrain, boasting more than 300 lakes, and soaring 11,000 feet above sea level and 6,000 feet above the river valleys that surround it, the mesa more than earns its appellation of "grand." Here, guests can explore a vast expanse of unspoiled natural splendor teeming with both wildlife and opportunities for outdoor recreation. 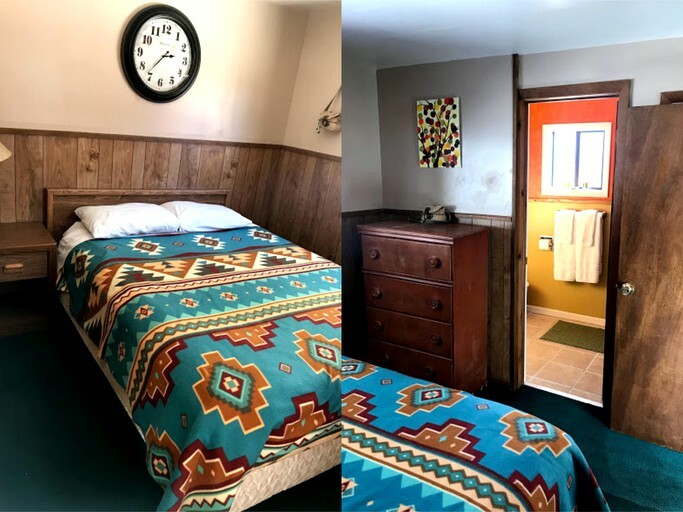 The cabin site is nestled within the Grand Mesa National Forest, which covers most of Grand Mesa and the southern portions of neighboring Battlement Mesa. 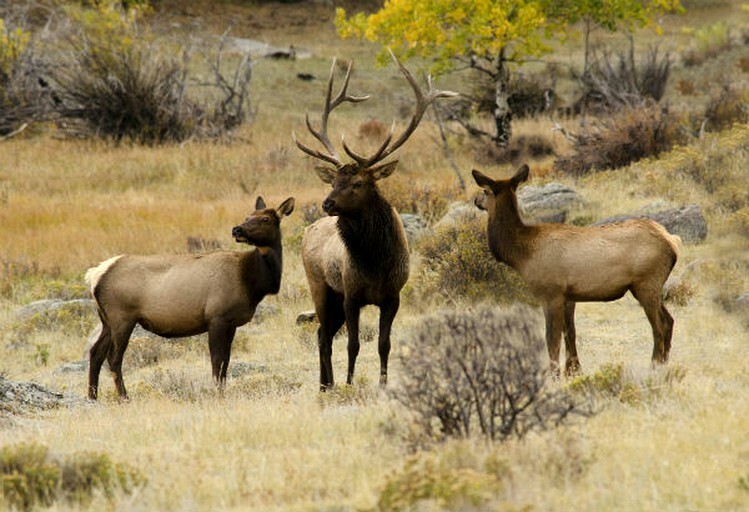 Filled with aspens, spruces, firs, and Colorado pines, the forest is home to a variety of wildlife, including bighorn sheep, black bears, Canadian lynx, cougars, elk, moose, mule deer, porcupines, ermine, and pine martens. Many birds can be spotted in the forest as well, including bald eagles, golden eagles, peregrine falcons, boreal owls, and Mexican spotted owls. Right next to the cabin site, guests will find one of the many lakes that dot the mesa, including Deep Ward Lake, where they will also find a beach and a variety of watercraft rentals available from the host. More than half a dozen other lakes can be found within three miles of the site. 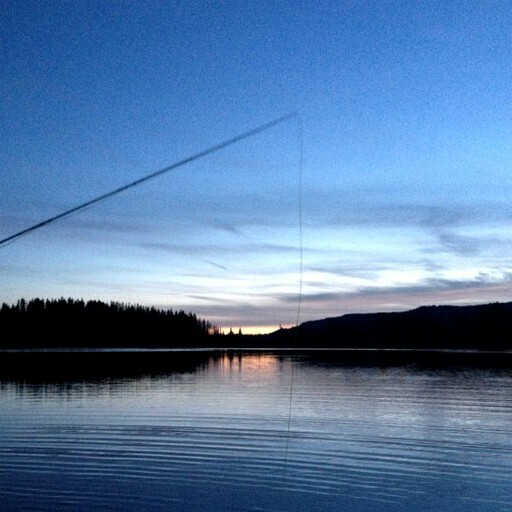 In the pristine waters of these lakes, guests can catch a variety of trout, including brook, brown, native cutthroat, rainbow and Snake River cutthroat. A few miles to the north, guests will find the National Recreation Trail-designated Crag Crest Trail, which loops around the spine of the mesa for just under 10 miles, providing scenic views of the surrounding landscape along the way. For more trails, guests can head to the nearby Land O Lakes Overlook Trailhead and Mesa Top Trailhead. Widening the geographical scope of their explorations, guests will find a practically inexhaustible range of other hiking options, with more than 3,500 miles of trails winding through Grand Mesa National Forest and its adjacent neighbors, Uncompahgre and Gunnison National Forests. 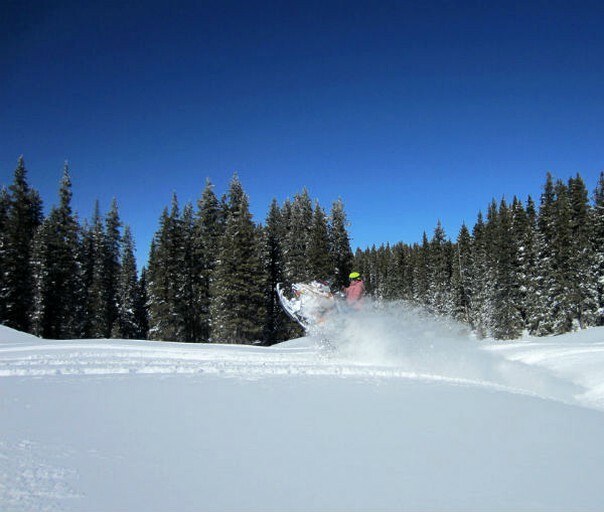 With hundreds of thousands of acres of National Forests, thousands of miles of trails, and more than 300 lakes to be explored in the surrounding Grand Mesa, Uncompahgre, and Gunnison National Forest, and with a variety of tours and rentals available right from the cabin site, guests will enjoy plenty of activity options in both the summer and the winter. In the summer, guests can go canoeing, kayaking, row boating, stand-up paddleboarding, hydro-biking, and peddle boating on the Grand Mesa's many lakes. 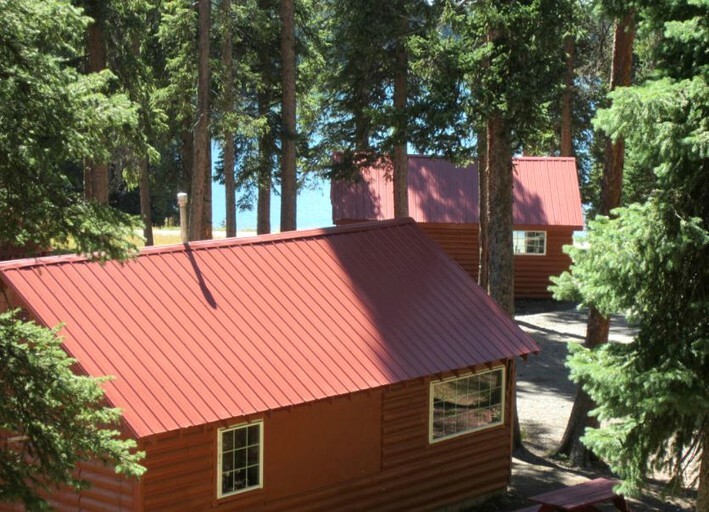 Rentals for each of these activities are available right next to the cabin site at the beach of Deep Ward Lake. 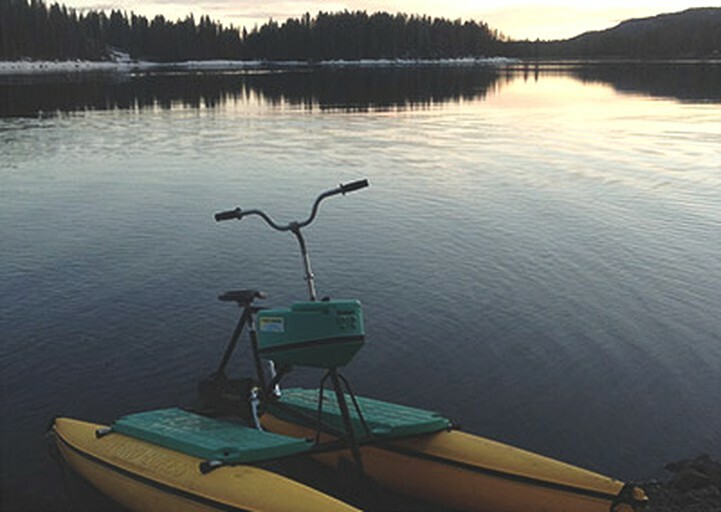 Guests can paddle or pedal out onto the latter, or they can take their watercraft to any other lake of their choosing. 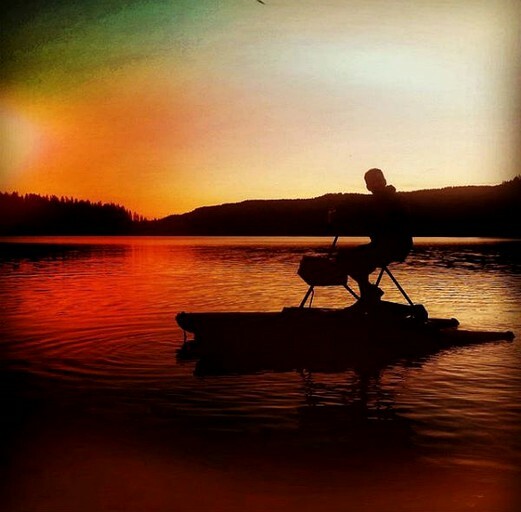 The kayaks and paddle boards are inflatable, so they are particularly easy to transport and guests can even carry them on a hike to one of the mesa's more remote lakes, where they can then go fishing as well. A variety of trout can be caught in the mesa's lakes, including brook, brown, native cutthroat, rainbow, and Snake River cutthroat. During the summer months, guests can play lawn games, including horseshoes, bocce, and frisbee golf. There is also a communal hammock area overlooking Deep Ward Lake. Year-round guests can borrow board games and DVDs from the office; guests just need to bring their own DVD player or laptop. 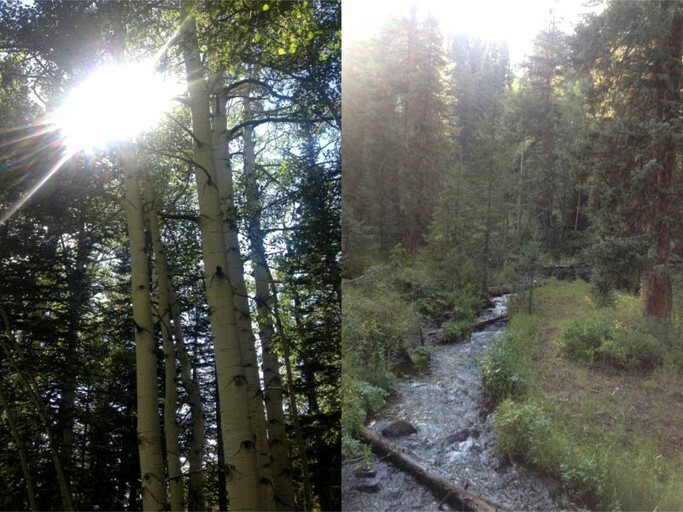 For hiking, guests will find more than 3,500 miles of trails in Grand Mesa, Uncompahgre, and Gunnison National Forests. The closest of these trails—the scenic Crag Crest Trail—is located just a few miles to the north; the Land O Lakes Overlook Trailhead and Mesa Top Trailhead are nearby as well. Near the site, guests will find many trails for mountain biking, ATVing, and off-road trail riding. 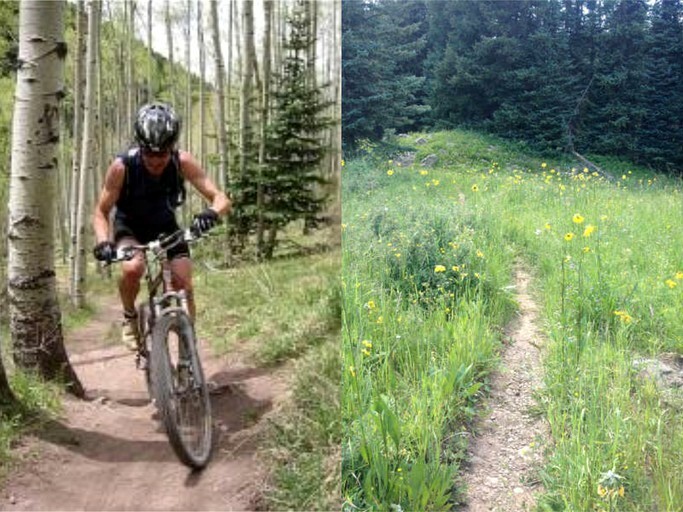 For mountain biking, guests can also head to the Powderhorn Bike Park at the Powderhorn Mountain Resort. 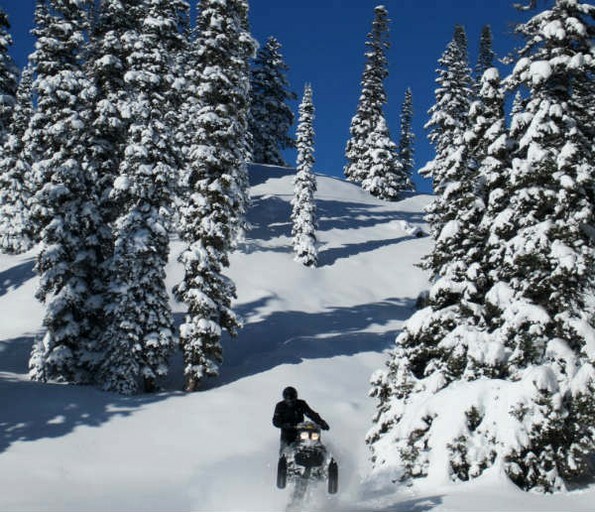 In the winter, guests can go cross-country skiing, snowshoeing, fat biking, and snowmobiling on the surrounding trails. 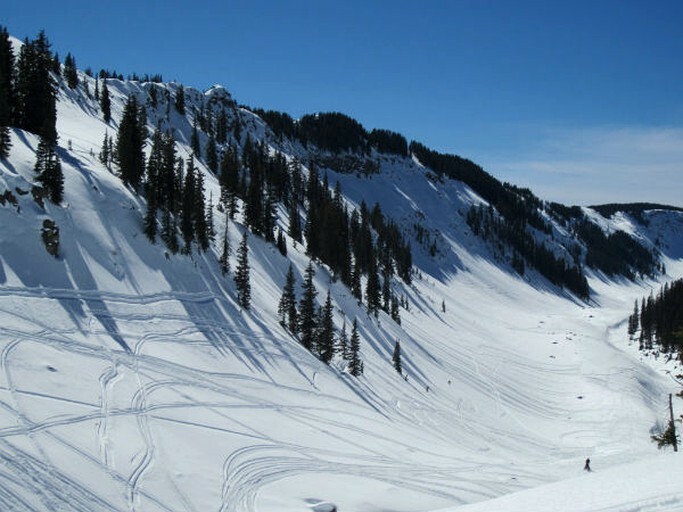 For cross-country skiing, the Grand Mesa Nordic Council maintains a system of more than 33 miles of groomed trails, which runs right by the cabin site. 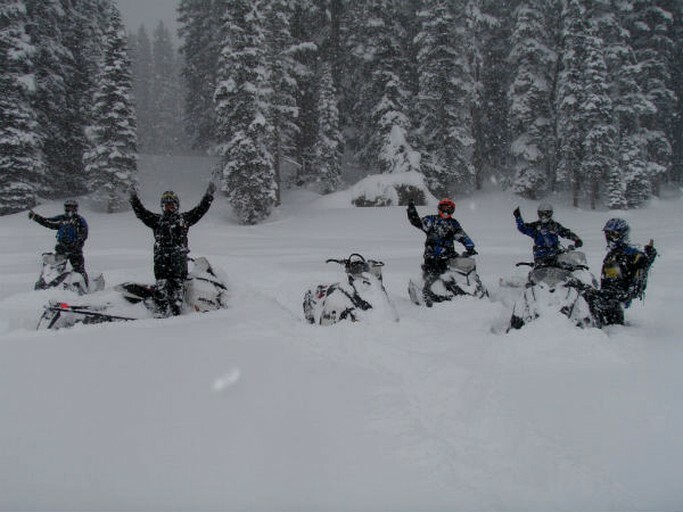 Snowmobile rentals and tours are available right from the site, and a variety of groomed trails are maintained by the local snowmobile club (the SnoKrusers) and the forest service. For snowshoeing, guests can head out to explore the forest right from the cabin site, or they can visit trails such as the Crag Crest Trail Mesa Lakes Loops, West Bench Trail, and the Ward Trail. Fat bike rentals are available from Rapid Creek Cycles in Palisade. For downhill skiing, snowboarding, and tubing, guests can hit the slopes at Powderhorn Mountain Resort. 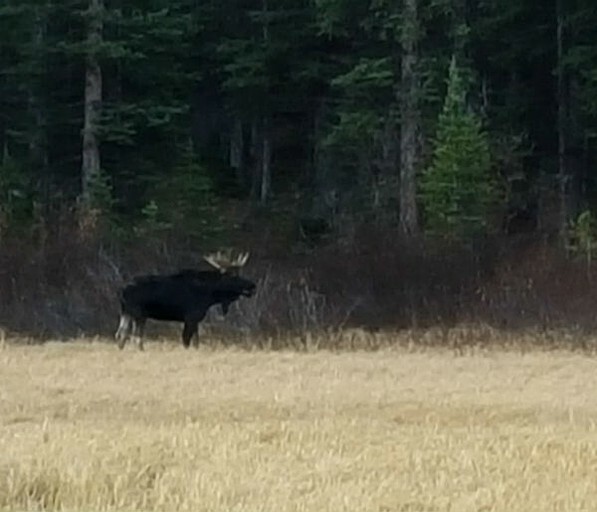 Near the resort, guests will also find a few local dining options: 4B's Brewery, RJ's Steakhouse, Creekside Cafe, Blink Twice, Wagon Wheel, and Mesa Lakes Lodge. Another option, Alexander Lake Lodge, is right down the road from the cabin site. Pets are permitted with an additional nightly fee per pet. Smoking is not permitted inside the cabin.